When the weather closed farm stands and downtown farmers markets last fall, owners and vendors regretfully packed up their signs, displays and cash boxes one last time. However, inventive souls “tweak” the performance of things in ways most of us never see coming. Folks at Micmac Farms decided to see if they could reverse our downward seasonal trend. They poured time and energy into contacting local producers, printing flyers and communicating via radio, newspaper, and word-of-mouth that they were opening their farm store to people interested in a trial indoor market, which has since evolved into a festival market series. November’s market arrived in a snowstorm, which could have put the kibosh on things, but did not. Customers arrived with the giggling excitement of schoolchildren who have gotten away with something. Local food producers enjoyed the opportunity to sell. Planners looked at what worked well and what could be better. They used that analysis to plan a holiday market in December. Less snow, more vendors with yummy locally grown food, still happy customers … check, check and check. Debriefing both customers and vendors resulted in plans for a bigger, better Winter Festival Market this coming Saturday, Feb. 9. 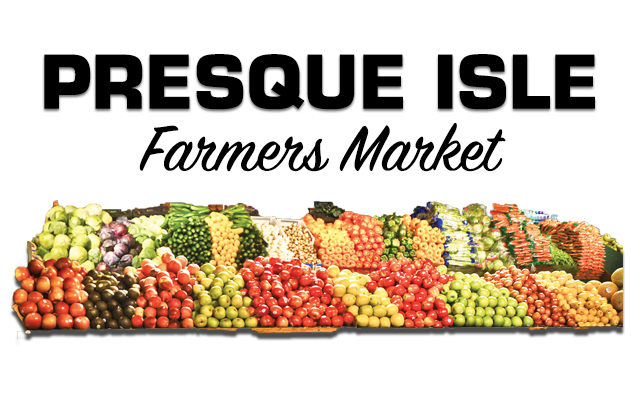 The market is scheduled from 9 a.m. to 3 p.m. at Micmac Farms on the Presque Isle/Caribou town line on Route 1. Live music has been a plus, so local musicians will perform off and on all day. People seemed to have a lot of interest and questions about the First Nations crafts on display. Highlight the patient and skilled hands of native basket weavers willing to both demonstrate and explain. As usual, keep the local meat and produce venders, makers of chocolates, breads, and teas, as well as the bottlers of honey and maple syrup, jams, jellies, and preserves front and center. Farmers largely stick with what they know. Their acreage supports tried-and-true varieties that have performed and sold well year after year. They perpetually imagineer something better. They set aside space to try seeds or breeds that promise to be a little sweeter, a little earlier, and a little more resistant to the evils that consume our profits. If asked about this apparent impulsiveness, a farmer may cite the information from an advertisement or by the supplier. Alternatively, the question may bring a sheepish admission that sometimes it is just fun to see how things turn out. Hope you will join us for an awesome Saturday adventure. The Presque Isle Farmers’ Market president is Deena Albert-Parks of Chops Ahoy Farm in Woodland.